Also known as on-demand software, software-as-a-service (SaaS) shuns traditional software installation, maintenance, and management approaches in favour of providing cloud-based applications via the Internet. With SaaS, service providers will take on the burdens of security, availability, and performance. Businesses are embracing the SaaS philosophy as an alternative to on-premise hardware and software deployment. Rather than purchasing new software, customers can rely on an SaaS provider to automatically perform updates and patch management. This further reduces the burden on in-house IT staff. Transitioning costs to a recurring operating expense allows many businesses to exercise better and more predictable budgeting. For those interested in integrating SaaS solutions to your business, here are some well-known SaaS providers in Indonesia to choose from. With hiring one of the big challenges faced by many start-up founders, Ekrut provides a cloud-based marketplace for job searching and talent screening. The main proposition is that it focuses on companies with exceptional founders and strict screening when it comes to prospective employees. Using an algorithm-based selection process, Ekrut promises to help companies reduce overall turnover rates and hire the best talent for leading organisations. Amplifia lets companies improve their branding and at the same time create their own thought-leaders through their own most valuable assets: their employees. As an employee advocacy platform, it generates brand awareness through the power of employee online channels. It encourages companies to motivate and reward employees for sharing companies’ brand messages on their own personal networks. Managing the HR process in a company can be a tedious task, especially when it comes to compiling attendance records, organising leave requests, and performing tax calculations among the many other things to do. To help with these routine-based tasks, SunFish Go helps HR activities by compiling all these administrative jobs into one management app for both HR managers and employees. By reducing the administrative load, hopefully employee productivity will increase and overhead costs such as biometric machines, tax consultants, and queueing at banks for employee payrolls will reduce. GDI Lab provides an SaaS platform through GDI Analytics, which helps companies create suitable strategies for overall business performance achievements and enables business owners to hear consumer experiences and feedbacks about the products and services they have used through a social media analytics dashboard. It also provides chatbots to help companies’ social media user engagement. 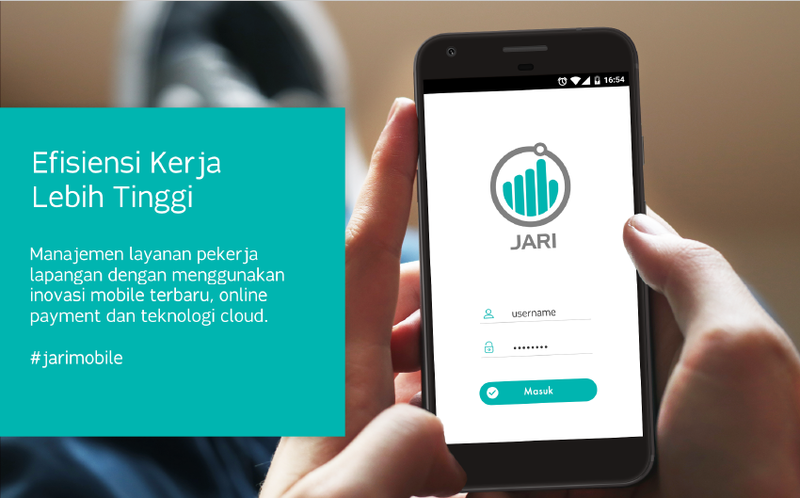 Utilising cloud technology, Jari provides services that include mobile surveys (to enable easier field surveys), mobile quest (to monitor and check on field workers’ productivity), mobile surveillance (an app that enable users to locate their vehicles), and mobile collection (an app that helps field workers perform loan-recovery activities). All of these have the aim of giving the best solutions for mobile field workers. 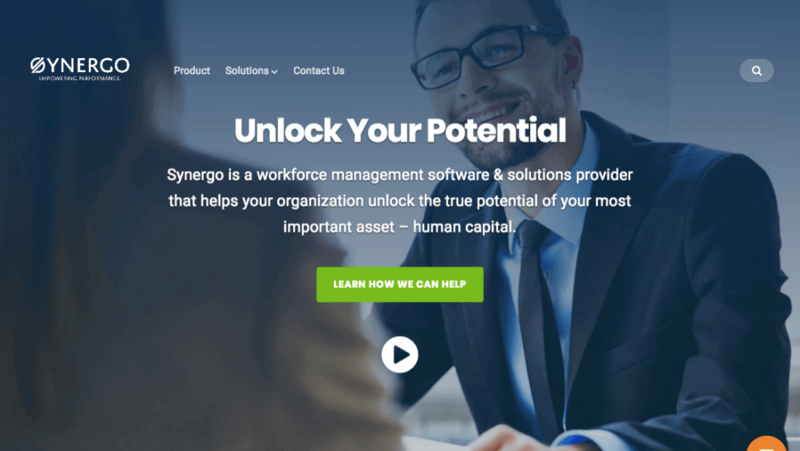 Synergo offers businesses the service of setting up performance reviews, storing and generating performance tracking, as well as aligning team and individual performance goals, all within one platform. The aim is to help companies better manage their human capital through the provision of easily accessible, data-oriented insights and actionable reports. Gadjian offers a solution for all employees’ remuneration issues, from weekly, monthly, overtimes, bonuses, and incentives. All of these are automatically provided and organised by the app. 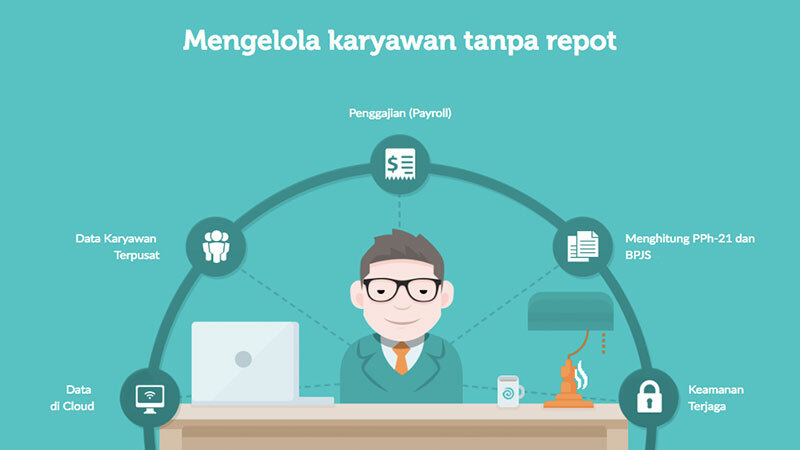 This cloud-based application will help companies cut operational costs and improve employee management not only through salary administration, but also leave allocation, health insurance, taxes, and shift-management system. 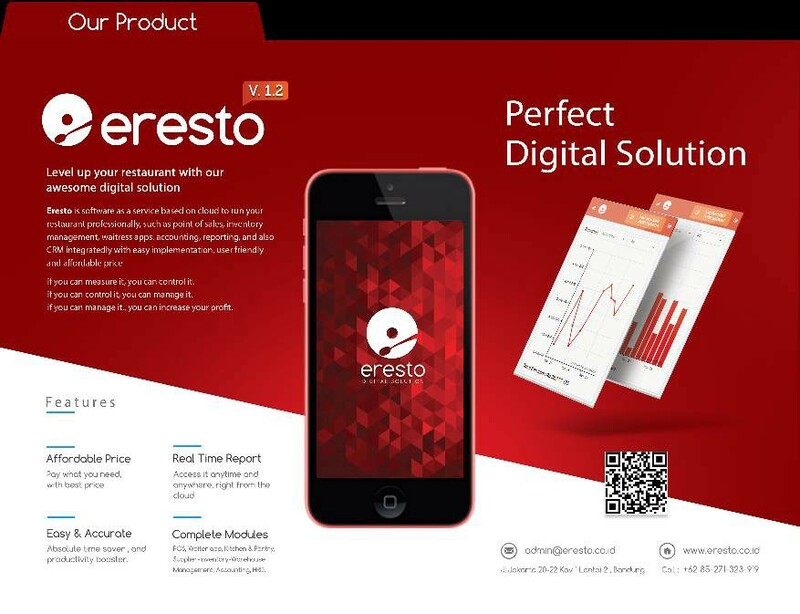 Eresto provides an integrated digital management restaurant system through its cloud-based application. All features of restaurant management starting from points of sale, warehouse management, food ordering for waiters/waitresses and customers, through to financial management are all provided in the application. It can also help chain restaurants to integrate their restaurants in real time.